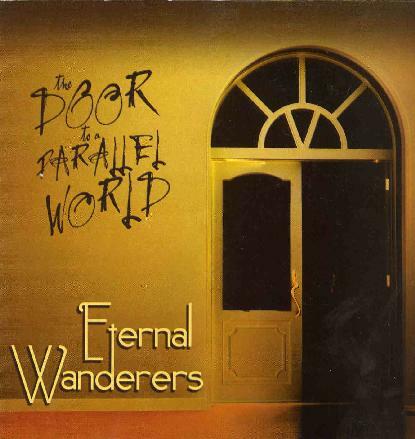 The Eternal Wanderers is a band from Moscow, Russia, playing progressive art rock with psychedelic and electronic overtones. The band was formed over ten years ago by the Kanevskaya sisters Elena (vocals, keyboards) and Tatyana (guitar, baking vocals). The bass player and drummer joined only a couple of years ago. Their influences include Pink Floyd, Steve Morse Band, Deep Purple, Yes, ELP, Bernd Kistenmacher, Solitaire, Roger Waters, Klaus Schulze (early works), Artemy Artemiev, Art Zoyd and Univers Zero. This is their first album and concentrates mostly on progressive art rock and RIO. There are also some more experimental sections. The album features seven tracks that have enough of variation. Two of them (“The Door to a Parallel World” and “Visions of the Lost World”) are rather adventurous instrumentals. Some of the songs have pretty nice, folk music-like melodies, and there are also heavier guitar parts in there. I like Elena’s voice quite a lot, and the playing is also very good throughout the album. I especially enjoy some of the keyboard stuff, for example on the track “No Way Back”. Somehow the music doesn’t really touch me, though. That’s possibly just because this art rock/RIO kind of stuff isn’t exactly my thing. The Door to a Parallel World is still an enjoyable musical journey and I have a feeling that on the next album the band might be able to advance to a new level.